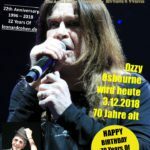 KW-49-2018: #Leonard_Cohen und … #Ozzy_Osbourne. Letzterer wird heute am 3. Dezember 2018 70 Jahre alt. Happy Birthday. Was hat er mit Leonard Cohen zu tun? „We’re dreaming of a Black Christmas, as the last ever shows of the legendary Black Sabbath constitute an occasion to celebrate one of the most influential rock bands of all time. 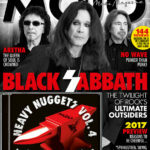 We interview the three remaining original members – Ozzy Osbourne, Tony Iommi and Geezer Butler – and assess their impact on punk, metal, grunge, avant-doom and more with the help of Dave Grohl and others. 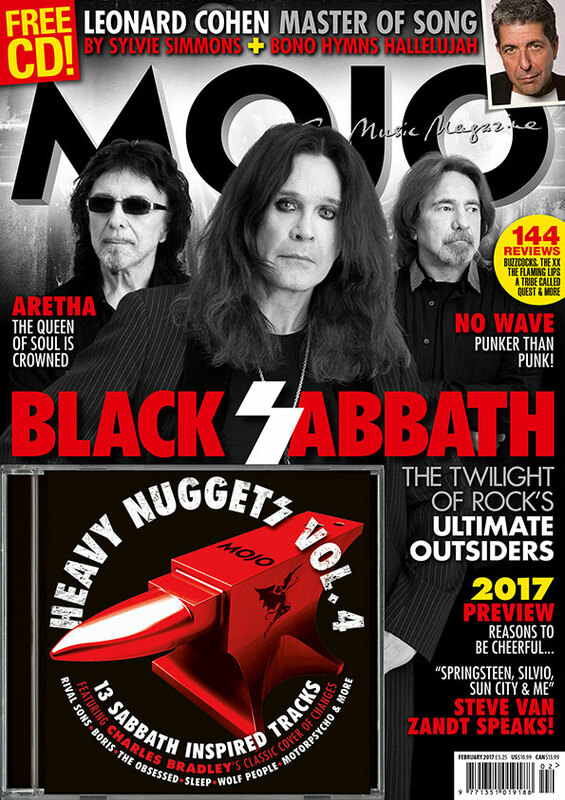 MOJO’s FREE CD also gets heavy, as Heavy Nuggets Vol.4 delivers mindblowing heaviosity from Wolf People, Boris, Sleep and more, plus Charles Bradley’s immense cover of Black Sabbath’s Changes. 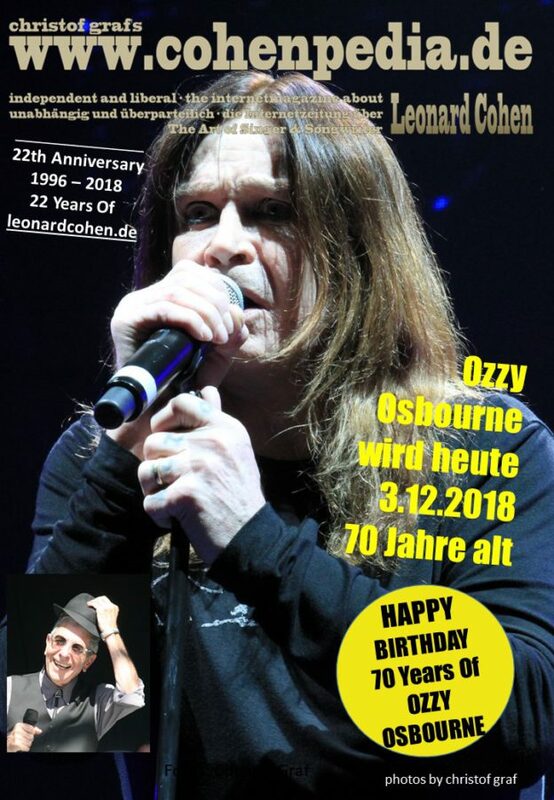 und rechts oben blickt Cohen auf Ozzy & Co. herunter. Anyway, Happy Birthday Ozzy. Dieser Beitrag wurde unter Allgemein abgelegt am 3. Dezember 2018 von ChristofGraf.